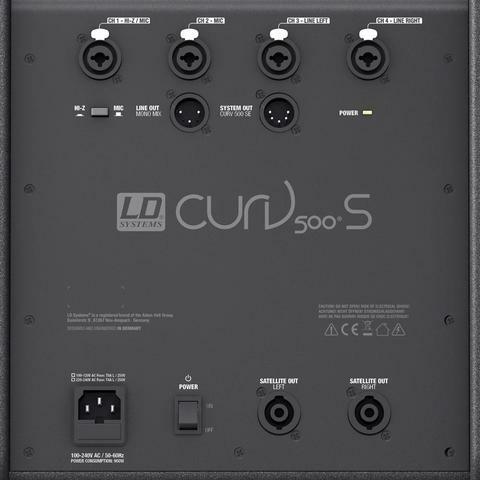 The portable sound system has a Class-D power amplifier with a limiter that provides protection against short circuits and overloading. It also has a built-in 4-channel mixer with 16 digital-effect presets and uses modern Bluetooth technology. 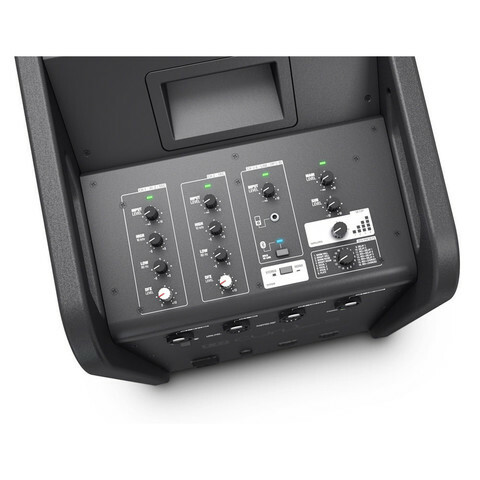 The built-in combo and Speakon-compatible sockets offer extensive connectivity options, and the subwoofer has four digital system presets, an M20 threaded flange, and three ergonomic carrying handles. In addition, the four satellites speakers are 4.7 x 4.7" in size and operate via SmartLink adapters. 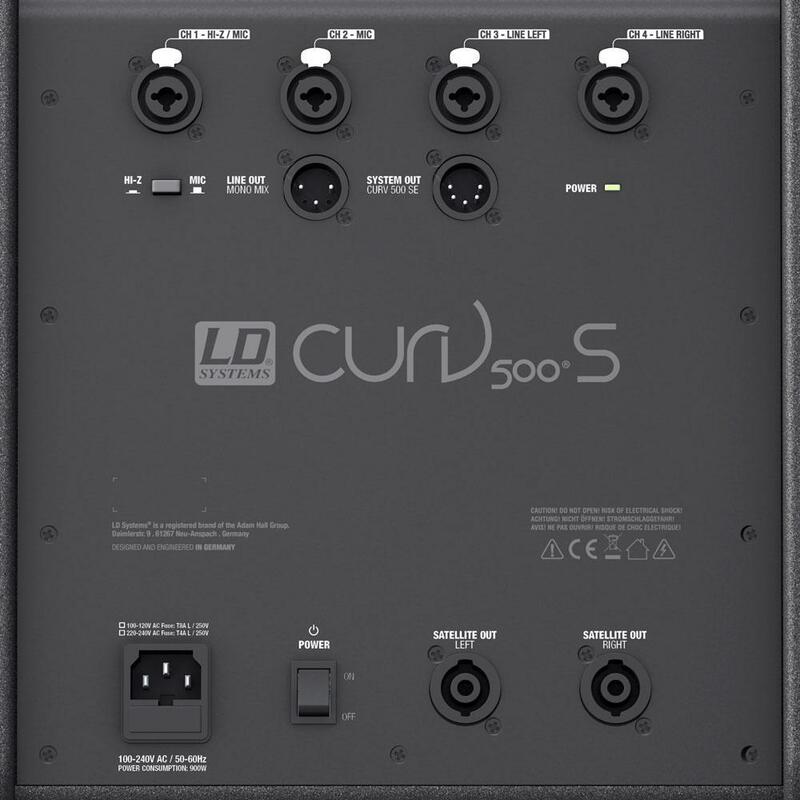 Using LD System&apos;s own WaveAhead technology, one 4" and three 1" drivers provide detailed audio playback for each satellite speaker. 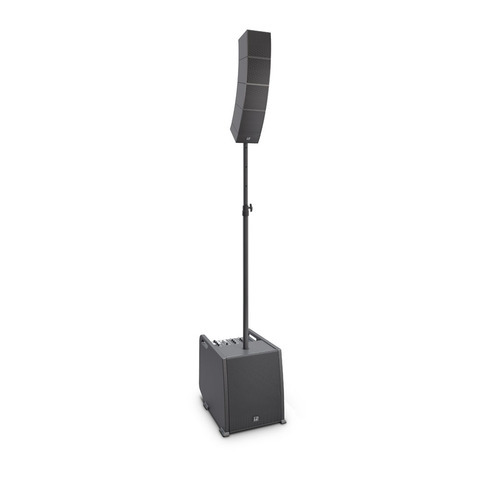 With optional wall and ceiling mounting systems (sold separately), the satellites can be installed anywhere where good sound and subtle appearance are required.